The Rev. Mary Rowe will arrive in Livingston on June 27 to be our preacher and celebrant on the Sundays of July 1, 8, and 15. Lyn Lawyer is a retired deacon from Minnesota, who will be visiting Mary Rowe in Livingston, MT the last weekend in June. She was ordained to the permanent diaconate during the mid eighties and was very active within the diocese of Minnesota. She was in charge of the refugee resettlement program for the diocese during the eighties. She taught scripture in the MN ministry formation program and for many years has led a bible study class at the Episcopal church home. Lyn has devoted many years to understanding the scripture and to articulating the intersection of the scripture and our common life in the 21st century. Lyn has great passion for the scriptures. If there is interest, she would be glad to offer a one day lecture and workshop on the epistle to the Ephesians. She would be available on Saturday, June 29th. Her one request is that those attending would read over Ephesians before coming. She finds Ephesians a wonderful book to understand as 21st century Christians. The book was written for instruction rather than in response to issues of a particular church. Please let the church know if you would like to attend this sturdy by June 26th. 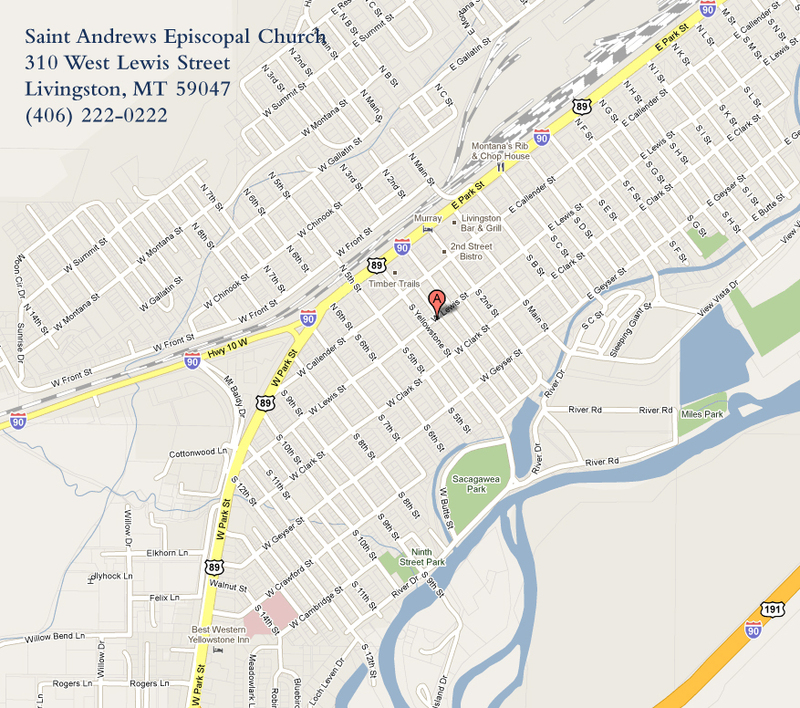 The time is tentatively set for Saturday, June 30th, 10:30am – 1:00pm St. Andrew’s. Please call the church office and register: 406-222-0222.